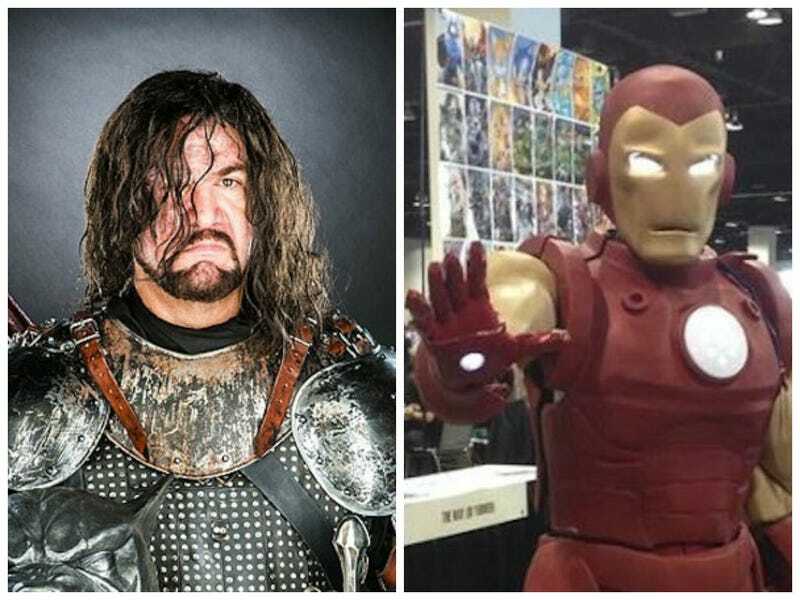 It's Marvel Vs. Game Of Thrones On io9's Halloween Costume Show! It's only week one of io9's Halloween costume show, and already the competition is fierce. Will it be paper-maché Groot, a pitch-perfect take on the Hound, an Iron Man made of repurposed auto body repair parts, or someone else entirely to run away with the title of this week's favorite? Check out some of the amazing costumes that our commenters have been putting together, and then post your own amazing costumes (pictures of yourself only, please) into the comments. The best ones will be featured on io9. And now let's take a look at last week's selections! This one's pretty obvious. Commenter APartyofOne is Groot. You might see commenter heyfeeney and wife on Halloween, but will you still remember them after they've gone?